A look at some personalities who made an appearance at the fourth edition of the annual convention for happy-go-lucky geeks and comic aficianados. 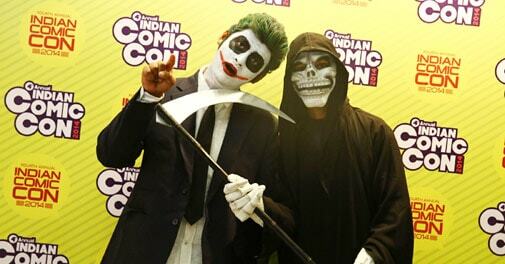 Joker and the Grim Reaper strike a pose at the Comic Con India, 2014. I still recall the time I first chanced upon Chacha Chaudhary, a little turbaned man who safeguards his barren North-Indian neighbourhood with the help of a rodent-like dog called 'Raacket' and a bald underwear-clad giant hailing from Jupiter. Now, the artwork was anything but spectacular and the strips mostly ended with people falling for the good ol' banana peel trick, but he was still regarded by my classmates as the funniest thing in comicdom. Chacha Chaudhary was created by Pran, a graduate of the Sir J J School of Art, Mumbai. Years later, in college, I came across the tale of an anarchist revolutionary who takes it upon himself to free a dystopian United Kingdom from the clutches of a fascist organisation called Norsefire. Penned by Alan Moore, 'V for Vendetta' was a work that stood shoulder-to-shoulder with the likes of 'Sin City' and 'The History of Violence' to bring comics to the very forefront of popular culture and - if I may dare say so - alternative art. The illustrations for the comic were laid down by David Lloyd, a British artist who is also credited for designing the famous Guy Fawkes mask (the same one adopted by Internet vigilantes Anonymous, yes). Both Pran and Lloyd are in the business of making comics, but being as different as light from day, never would I have expected to witness an occasion when the two found themselves in the same city, and under the same roof - no less. But then, I hadn't counted on the great unifying phenomenon that is Comic Con India, either. The fourth edition of the annual convention for happy-go-lucky geeks and comic aficianados, held from February 7 to 9, received a overwhelming response from fans across the country - thrilling organisers and silencing critics, if any. And somewhere in the melee of zombies and men-in-tights at the three-day festival at Delhi's Thyagraj Stadium, Pran was honoured with a Lifetime Achievement Award while several international comic artists cheerfully entertained starry-eyed fans by the multitude. Here's a look at some of the personalities who made an appearance at the event. A few years ago, the United States of America was visited by an epidemic of bird flu that swiped a neat 23 million clean off the map. Impressed, the survivors decided to ban smuggling and consumption of all kinds of bird meat - treating violators in the same way as bootleggers were in the good ol' Prohibition days. Today, Tony Chu finds himself a freak in the Philadelphia Police Department - courtesy his "cibopathic" ability to receive psychic impressions through simple ingestion, be it food or human flesh. When his unusual superpower ends up embarrassing the department, the US FDA recruits him - thereby setting him off on a rollercoaster ride involving alien plants, knowledge-hunting vampires, cyborgs and a very heroic cockerel named Poyo. Now, you have to be John Steele Layman to think up of a storyline as imaginative as this. 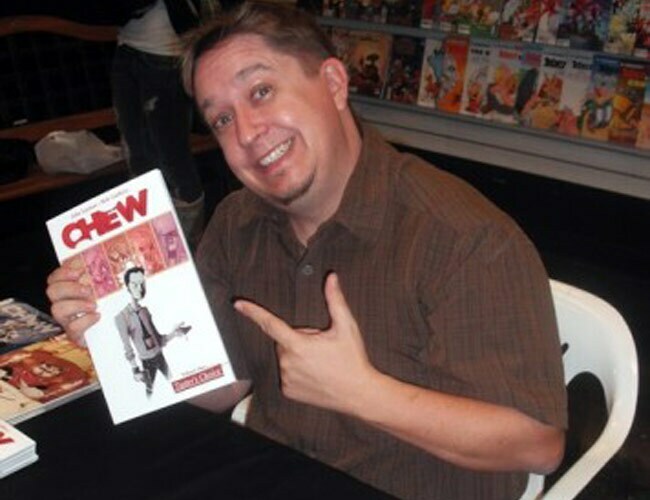 Even though the man started his career in 2002 and worked on several pre-existing licences such as Xena and Marvel Zombies, it is with Chew (Image) that he truly made a mark in the world of comics. Another noteworthy comic book to emerge from his imagination is Puffed, which relates the tale of a man in a dragon costume being forced to take on junkies, hoods and ruthless criminals during the course of his unluckiest night ever. 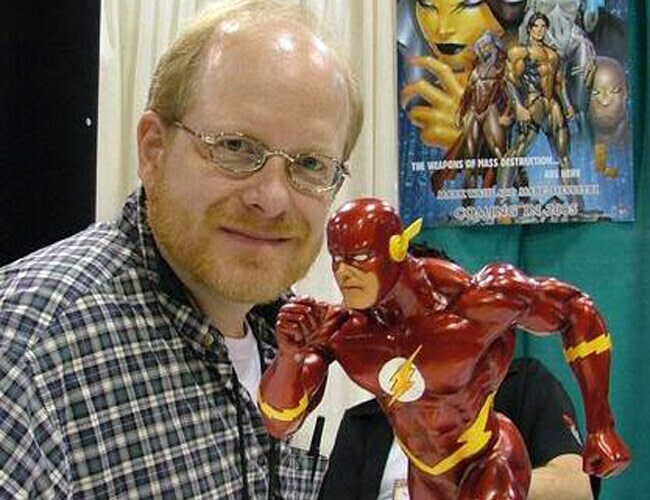 Arguably the best thing to happen to DC Comics since Bob Kane and Jerry Siegel, Waid laid the foundation for the establishment of its now-acclaimed Elseworlds franchise (casting our favourite characters in alternative timelines or realities) and giving a fresh lease of life to flagging characters like Legion of Super-Heroes and Wonder Woman. Other projects that he was associated with during his stint with DC included a story arc on The Flash (wherein he created the sprightly Bart Allen a.k.a Impulse) and the Metamorpho limited series in 1993. Waid, however, was yet to reach the pinnacle of success. In 1996 - after crossing several milestones, including the co-creation of the X-Men character Onslaught and scripting of Captain America titles for a number of years - he and Alex Ross joined forces to script the iconic graphic novel Kingdom Come, wherein the Justice League of America (spearheaded by Superman and Wonder Woman) struggle to regain control over a dystopian universe that's overridden by brash meta-humans. Other stories from his stable include Superman: Birthright, a twelve-part limited series that has a young Clark Kent dealing with a Rwanda-like situation to find his true calling in life, and Underworld Unleashed, which has a demon from Hell providing assistance to the likes of the Joker and Lex Luthor in exchange for their eternal souls. 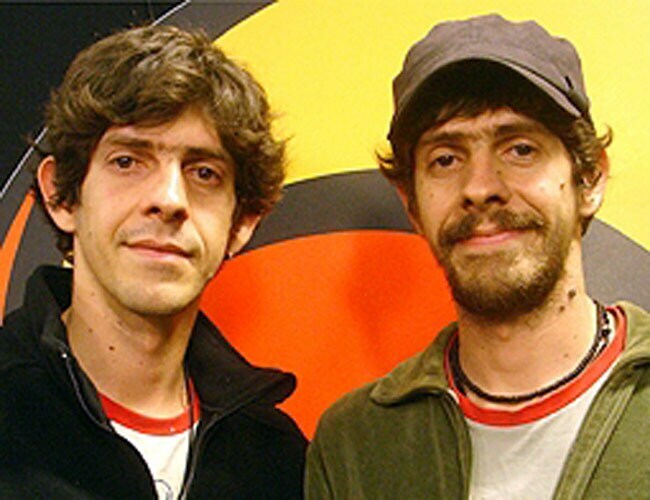 Also making an appearance at the Delhi event were Gabriel Ba and Fabio Moon, the Brazilian twins responsible for artwork in some of the best graphic novels ever made. Ba is well known for his work on The Umbrella Academy, a tale of the reunion of a disbanded group of superheroes after the death of their adoptive father (an alien masquerading as a famous entrepreneur), and his association with Moon for bringing out Casanova, a series centering on renowned thief Casanova Quinn, who gets blackmailed into being a pawn and double agent in a global game of super-espionage. The two also self-published PIXU, a horror comics anthology, with comics co-creators Becky Cloonan and Vasilis Lolos. The highlight of this year's convention was undoubtedly its increased international content, with global exhibitors like 2000 AD (best known for the Judge Dredd series); Toynk.com; Marvel; Image; Knockabout; Fanfare, and Comixology making an appearance. And going by how the concept is becoming a hit with the inhabitants of Delhi, we can't wait to see how next year's event turns out.